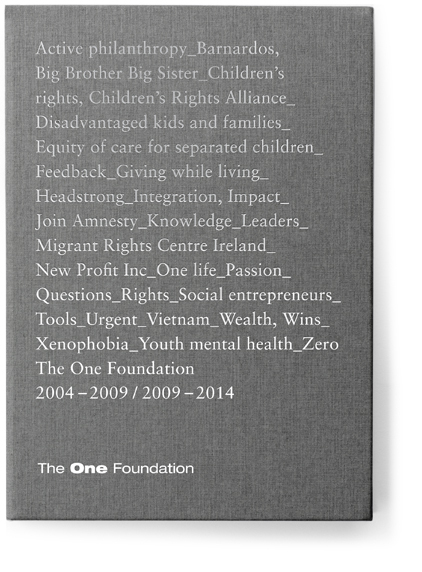 The One Foundation is a private philanthropic fund established to improve the life chances of disadvantaged children and young people in Ireland and Vietnam. 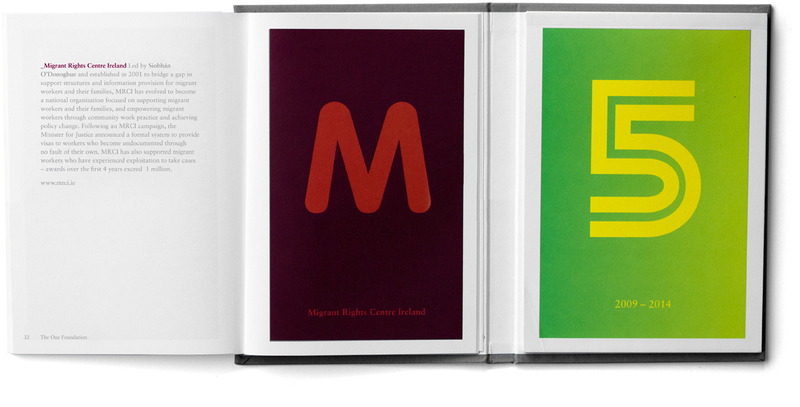 The book is a half-way report. 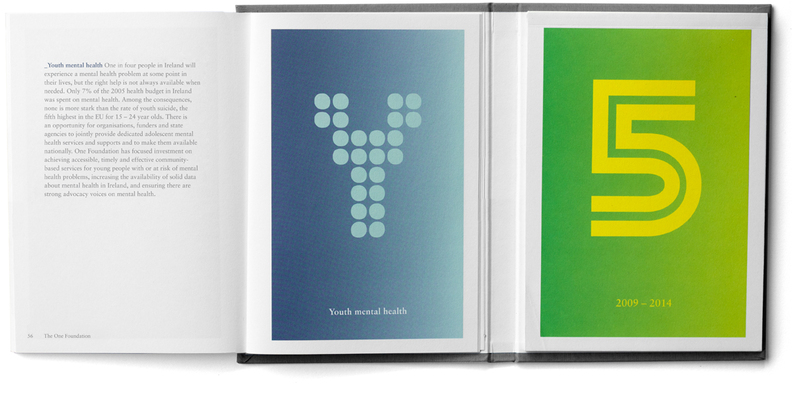 It uses an engaging alphabet to organise the content chosen to represent the first five years (left). 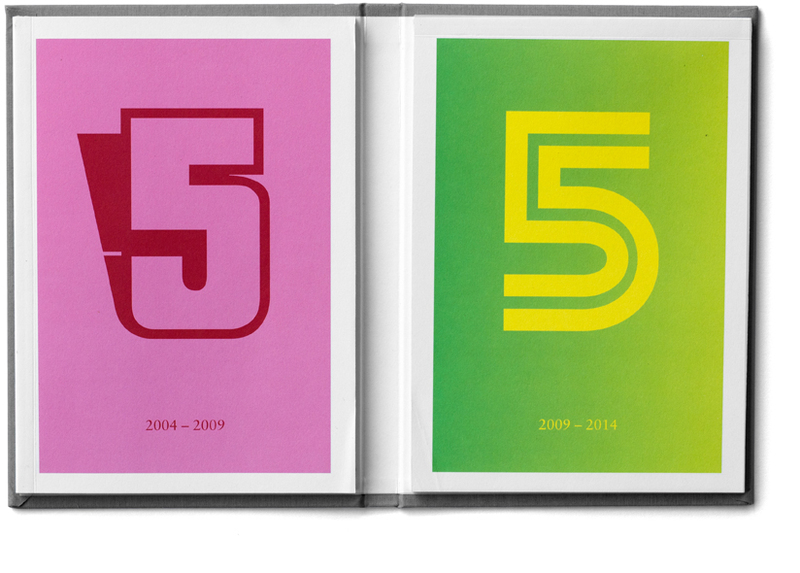 When faced with a blank notebook (right), the reader is encouraged to participate in the next five years.